Our administrative and clinical team have many years of experience dealing with eye conditions and medical problems. 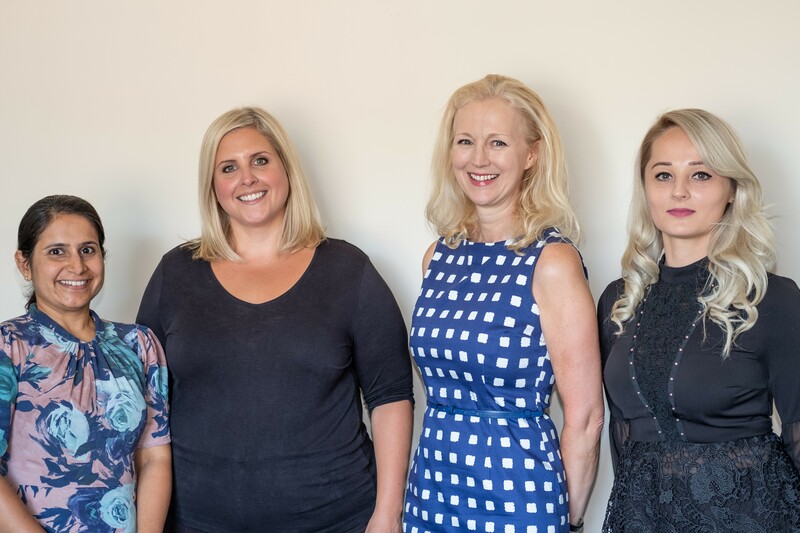 Dominika Moranska, our practice manager and Emma Guilloud will do their utmost to help you with queries, booking appointments and arranging surgery when needed. They have in-depth knowledge of hospital administration systems as well as insurance companies procedures and self pay packages to help and guide you through. Lindsay Slade and Purvi Gala , our senior Orthoptist and Optometrist will expertly perform much of the diagnostic testing at our specialised centre in Maidenhead. Our whole team are here to help you whenever possible and we are proud of the unrivalled service they offer.